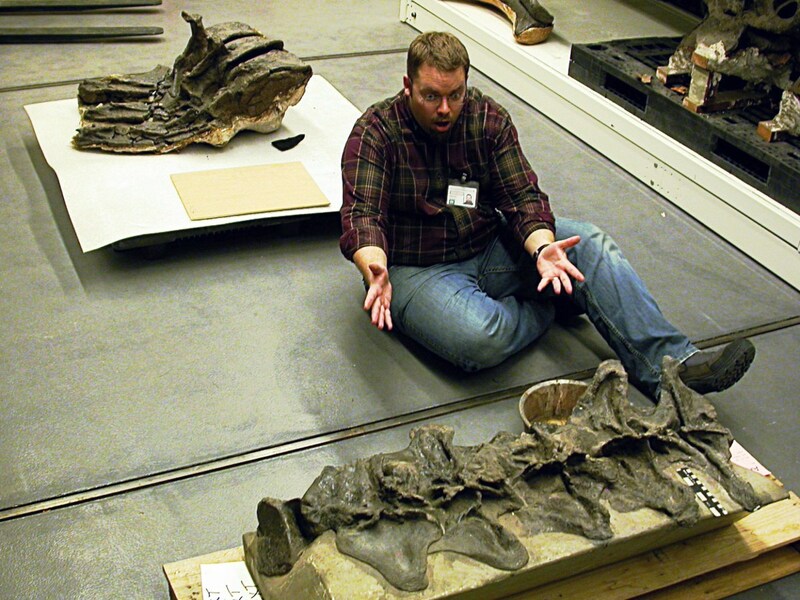 Mike gets a shot of a sauropod sacrum in the AMNH basement. Lots of basements have them. Some basements have had them for decades, and other basements have been newly constructed to house them. So you can take advantage of that retro chic while taking your basement into the 21st century! Matt ponders the mysteries of evolution in the AMNH basement. One of the nifty features of WordPress is that you can track the search terms that people are using to find your blog. After Mike put up his “Suboptimal location of Mamenchisaurus” post, we noticed that one of the top search terms bringing people to SV-POW! was ‘basement’. Yeah, that’s right, ‘basement’. In fact, ‘basement’ is the 5th highest search term of all time that has brought people to SV-POW! And that’s not unusual–in fact, of the top 5 search terms bringing people here, only one is sauropod-related (Brachiosaurus, at number 2). 3. leopard seal (12,797) — this explains why “Sorting out Cetiosaurus nomenclature”, which even Mike admits is the most boring topic we’ve ever covered here, is the 11th most popular post of all time on this blog! 14. flamingos (3102) — double dipping for the “Necks lie” post! 24. shish kebab (1660) — double dipping for “Sauropods were corn-on-the-cob, not shish kebabs”. 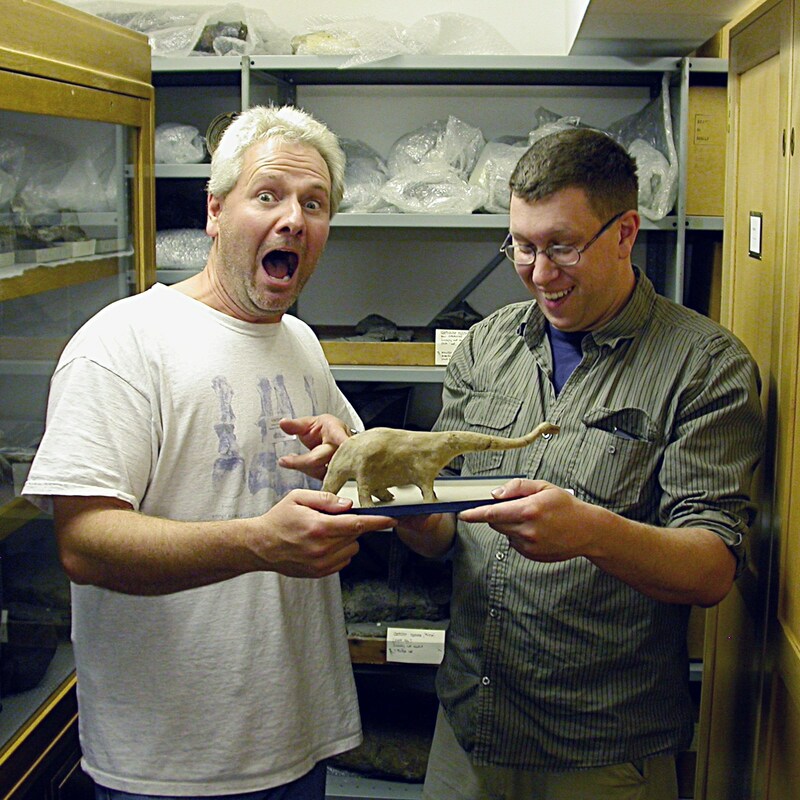 Mike and Darren discover a new dwarf sauropod in the basement at Oxford. We’re apparently getting a lot of hits from people who want to remodel their basements. I’m all for that (the remodeling, and the extra hits), so I’m embracing it. You want basements, we got ’em. 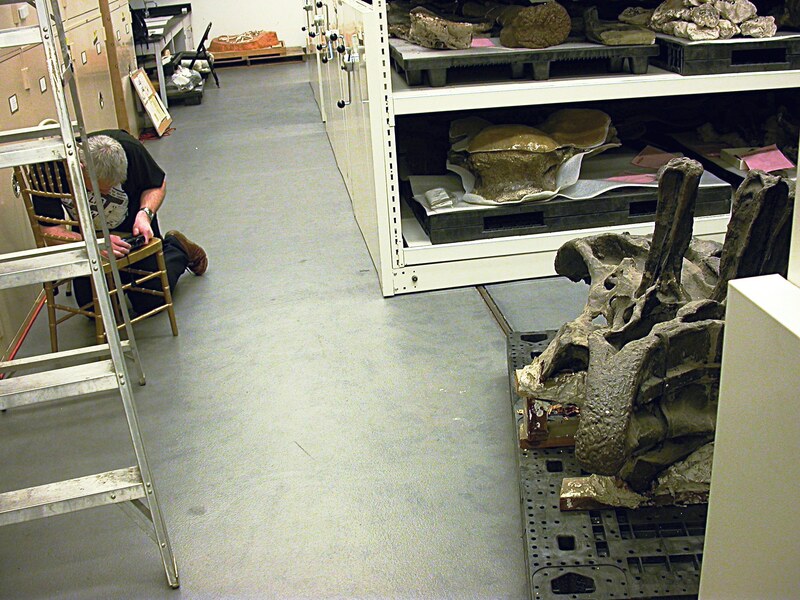 We’ll drown you in pictures of sauropod vertebrae in basements. Did I say basement? Basement, basement, basement! This short guide will help you with your project. Is your basement in a museum? 1. Fill it with sauropod vertebrae. 1. Fill it with anything you like except sauropod vertebrae. 2. Support your local museum. My basement is not in a museum, but I still think sauropod vertebrae would make a nice addition. Just sayin’. I like the support your local museum clause at the bottom. That should be a whole blog topic! That is really funny. I had one for a while on the puppet’s blog of people looking for “cloaked cars” because the puppet made a star trek reference in a post about a road trip… The net really does connects us. Just in the most odd ways possible! @TGIQ the real bones belong in a museum so scientists can study them, but there are several companies that can provide casts (their prices tend to be rather steep though).